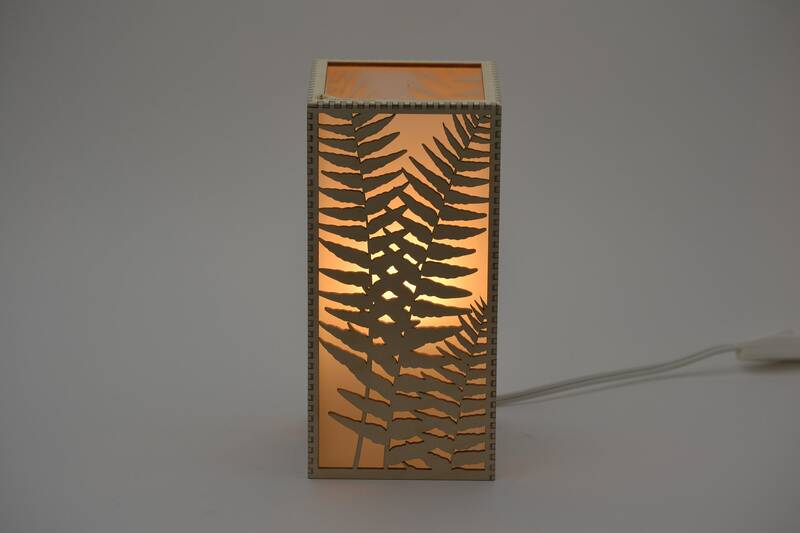 Inpsired by the sword ferns that flourish in our Pacific Northwest home, our fern lamp features a finely detailed birch plywood sleeve over a rectangular frosted glass lamp. 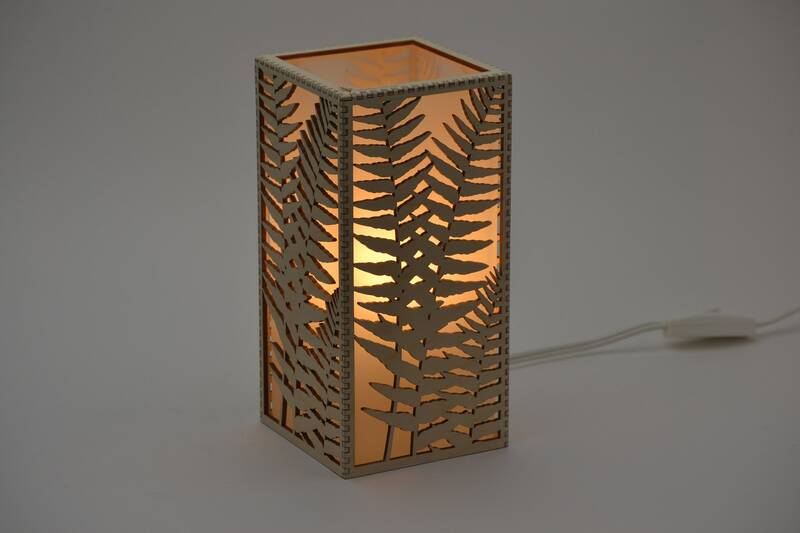 This would work well as a bedside light or as an accent lamp in a living room or office. 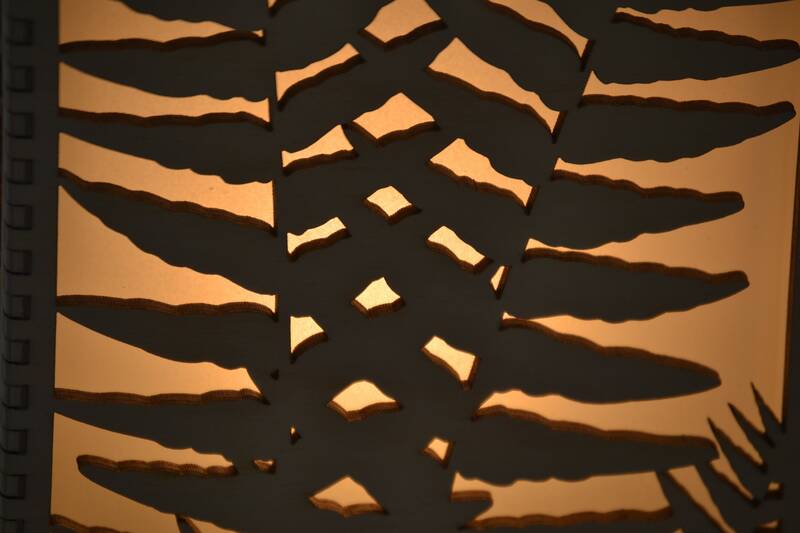 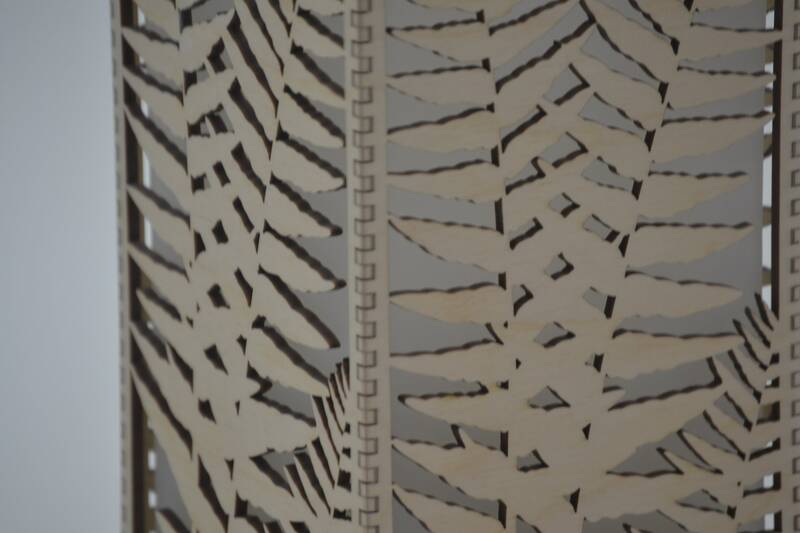 Designed, laser cut, and hand assembled in our shop; all the surfaces are carefully sanded. 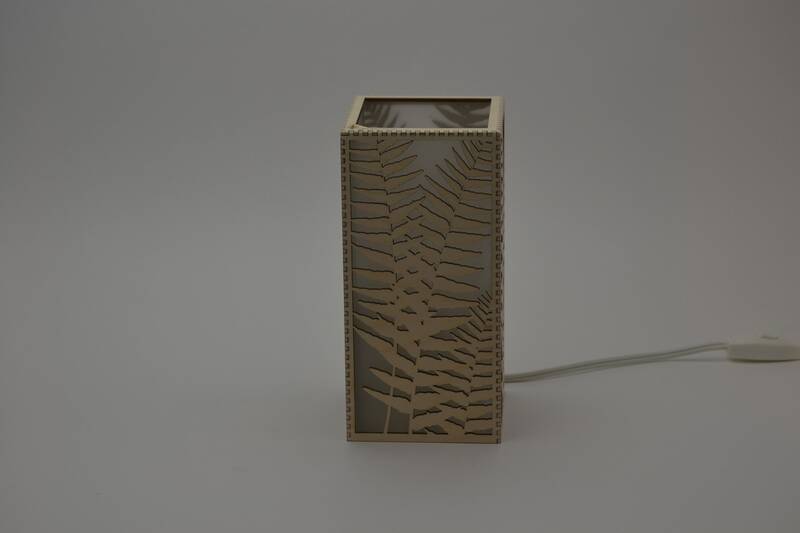 The lamp comes with an energy efficient 4.4 watt E12 LED light bulb and a toggle on/off switch in the cord. 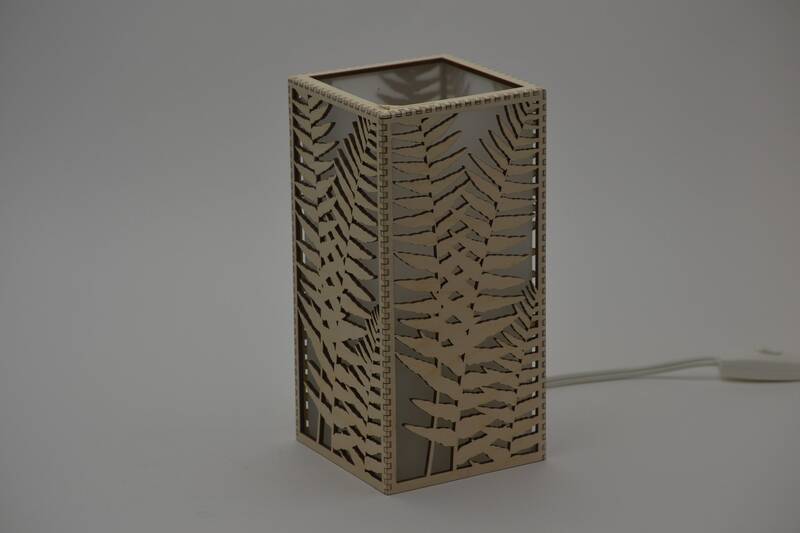 The lamp measures 8 3/4 inches tall x 4 1/4 inches wide x 4 1/4 inches deep.